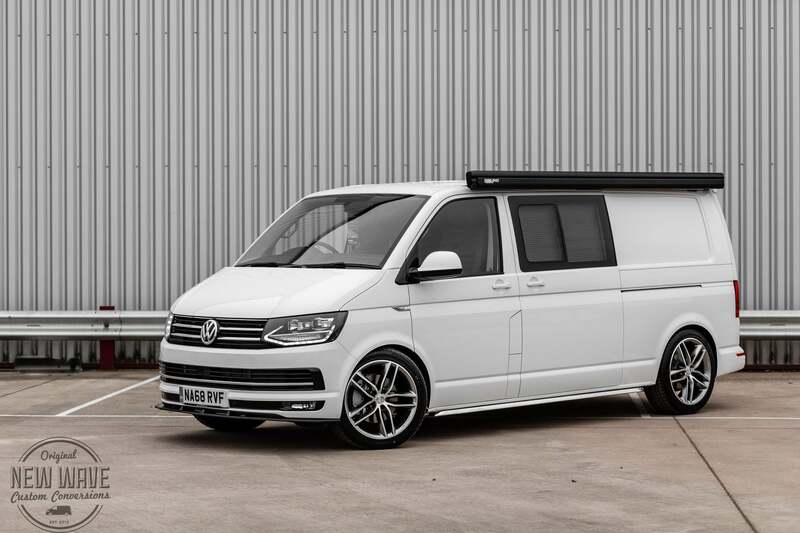 Here at NWCC we offer a combination of Lowering & Suspension options ranging from the Eibach lowering spring 30mm, To Blistein B14 coil-over kit, We offer options for the VW Transporter T28, T30 & T32 chassis with options to suit all budgets and needs. If you are looking to improve the handling of your VW transporter, One of the most effective ways is the addition of H&R Anti-Roll Bars.With all products initially developed, then designed and manufactured at the H&R headquarters in Lennestadt, Germany, H&R anti-roll bar kits are compatible with varied suspension systems. H&R anti-roll bars are constructed from high-tensile steel with forged steel ends, most bars being adjustable to suit personal driving styles and handling preferences. Improved Handling: Taking out body roll in & out of corners and roundabouts. Aesthetic Improvements: Giving the vehicle a more aggressive & sport like look. Bringing that wheel arch to your tyre will achieve a much improved look to your VW. With Installation of any of the listed suspension options your vehicle will have completed 4-wheel laser alignment (TRACKING). This entails bringing the front wheels into alignment with the rear axle; This is where the front wheels are checked against each other using a laser and then moved until the beam is a mirror of itself on the opposite wheel. Further to this we recommend that you additionally have the vehicle Geometry assessed; When a vehicle is measured on a geometry machine each wheel can be independently aligned to the thrust angle with the help of viewing the angles on a computer screen. This is done via separate panels being positioned on each wheel, which are then linked to the computer via lasers. A geometry will cost more than tracking. However, in the long run it will be far more cost affect than having to keep getting the tracking redone because of replacing unevenly worn tyres. These springs are best suited to compliment a 18″ Alloy & (235.50.18) Tyre package. 40mm – 70mm Bilstein B14 Coilover Kit. Suitable for all chassis options INCLUDING THE T32. With the B14 threaded ride height adjustable kit, we’re bringing technology from the race track onto the street. Visit BILSTEIN for further information. If you’re interested in finding out more, please complete our contact form below.